And another year come by giving us time and opportunity to make use of and to make the bridge to our destinies. This is wishing you a fulfilling, blessed, lovely, successful, prosperous and a peaceful New Year. Godspeed to you Good people. do keep blogging...there r a lot of fans for u in my college..
happy new year. may this year bring you all the happiness and success you yearn for.. Happy New year to you and your family. Keeping rocking in coming year also. Take care. Happy new year to you too Chinmayi !! A Very Happy new Year to You Too !!! I just saw the movie Varanam Aayiram and I cant believe it was your voice for Sameera !! Good luck girl ! Lots of love ! Wish you a great year in every aspect ahead! All good wishes for a gr8 2009.......Hope this will be a new beginning for renewed peace, prosperity and progress. Cheers! This is Divya wishing you a very happy new year. Wish you a very happy new year ! Have a nice new year.I wish you could give us many more astonishing songs and that will be one more ingredient for a nice new year. Iniya angila puthandu nal vazhthugal.. Happy and Prosperous New Year 2009. Have an Wonderful year with new ideas. Wish you and your mom a very happy, healthy, peaceful and prosperous new year. Wishing you and your family a Successful and Cheerful year ahead. (*Wishing that,if 5 songs r there in the nomination list all the 5 will be urs)Advance wishes! Wish you an achieving year, while i expect some of those "mayya mayya", "malargale(pudukottai saravanan)". Wish you a Happy and Prosperous New Year 2009. Happy New Year to u too. Let u have a successful year ahead. Happy new yr.I know u will not mind my msg.Even then,I jus wanna say best wishes 4 ur future.BYE!!!!! Happy new year to you.You just keep rocking in whatever you do.All the very best. Wish u a very happy and Successful New year!!!!! வணக்கம் சின்ஸ்..... நேற்று என் மனைவியிடம் தாங்களுடைய பிளாக் பற்றி கூறியவுடன், அவர் உங்களைப் பற்றி ஆஹா...ஓஹோ.. என்று உங்கள் புகழ் பாடினாள்....எனக்கு பெருமையாக இருந்தது, ஏனெனில் இவ்வளவு நல்ல உள்ளமும், புகழும் படைத்த சின்மயியின் வரைப்பூவில் என்னுடைய பெயரும் இடம் பெறுவததுதான்.....உங்கள் நல்ல உள்ளத்திற்கு என் வாழ்த்துக்களும், புத்தாண்டு வாழ்த்துகளும்! wishing you a very happy and prosperous new year. Happy New Year to you Chinmayi!! Enjoy, celebrate and work harder this year than never before, 2009 is sure to ROCK!! Wishing you the same. Have a great yr ahead. wishing you a very happy and prosperous New Year 2009! Hi Chinmayi! Wish you a very happy new year. Happy New Year to you. Hope you give us more sings this year! WISH U A HAPPY HAPPY NEW YEAR CHINMAYI. 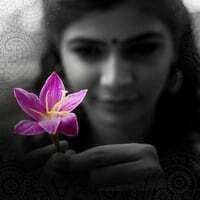 I don't see u blogging much Chinmayi....r u very busy in concerts or sangeetha season? The Best Anchor – Female for Airtel Super singers 2008. Your Ahha coffee club also rocks. Happy new year, Chinmayi. Wish you do more songs this year and keep rocking as a quality VJ! Congrats on Winning Vikatan Awards for 2008 as Best Compere..
May the Success continue thru out the year for u.. Happy New Year !! Awaiting to hear a lot from you this year.. I am an alltime fan of WhatToNameIt.. I heard the Oyaayiye Yaayiye song.